Cash Club - 3 Steps 2 Cash Review - Poor Scam Exposed! We have encountered another poorest scam and busted it into pieces. The relationship between us(scam busters) and scammers will be going for years to come for sure. And frankly, we are actually enjoying this game. Scammers will be trying their best to fool people around, and we vow to expose their cheap work right here right away. 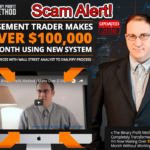 Today, we are here to expose one of the cheapest scam trading systems called 3 steps 2 cash – Cash Club. The scammer behind this system did the best they could, but we are always better in exposing the truth behind. Here we go. Alright, let’s get down to the official website of the Cash Club or 3 Steps 2 Cash system. As we have always kept our mind and eyes widen to catch anything fishy, we dive into the official site as soon as the online ad of 3 steps 2 cash scam popped up on our computer screen. And, that was their unfortunate as we have done enough to expose their tricky scam. The first thing that caught our attention is the poor looking website that must have been developed by some unprofessional software developer. 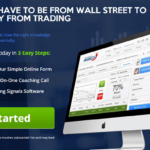 They don’t have any decent idea of developing a good website, neither they know anything about binary options trading. 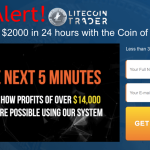 They are simply taking advantage of the popularity and demand of the binary options trading in order to steal money from newbies by luring them. However, they are talking about millions! Well, this not the only factor that forced us to think and to take steps against it. Let’s get you through various points one by one. Video Presentation That Blows Your Mind! The very first thing to catch in the entire system is the promo video design. They should have put some effort on this before claiming of million dollar profit. What they did to the video presentation is collected a bunch of photographs from the internet, fabricated some interesting phrases together, and simply created a slideshow combining with a robotic voice to explain the system. This kind of video can be made for few bucks. If someone owns a legitimate million dollar system, he/she would not be so stupid to ruin the entire thing by some kind of old school video presentation, unless if the person is making up the whole thing. Does it ring any bell? Who is owning this incredible money machine? We don not know. No really one does. And there is no way to find him either. The only thing you can hear from during the entire video presentation is a robotic voice speaking out scripted phrases. No real voice of the owner, neither his single piece of image we found. We wonder if he is earning millions and helping many others to join the club, why would he keep his identity hidden? He should have become a celebrity in no time. If someone is staying behind the bar, yet claiming to make your millionaire in the shortest period of time, we find something fishy about it. Though the owner did not dare to come on screen, he made some effort to show the faces of satisfied users appreciating his system. An awful attempt, though. 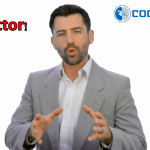 What we found out is the first person seen in the video is a paid actor seen in other scam software as well. 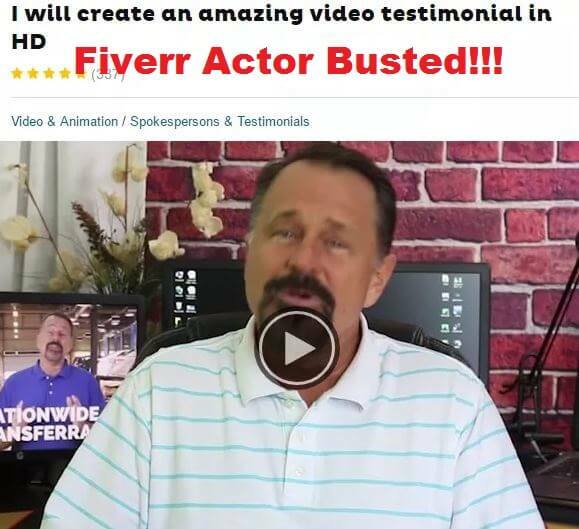 You will find him in one of the most popular websites fiverr.com. Check out the below image that shows the screenshot of his fiverr profile. This man is ready to lie anytime about anything for $5. And that’s what he did exactly in the 3 steps 2 cash system. Below here is the screenshot of this bearded ugly liar captured in the Cash Club website. The video testimonials are not enough they thought, so they went to another filthy level to prove their convenient. In the official website, there are profiles created with an image, date of joining the system, earning amount, and the great feedbacks. All of these are meant to be impact a positive attitude on users about the system and convince to register to it. Now, let us convince you to avoid the system by providing some evidence. The images you can see in the above testimonial profiles are actually stolen ones from some other websites. We have provided one solid evidence on our statement right below here. Well, the answer remained a mystery. Unlike a legitimate system website, there was no proper explanation on the working statistics of the 3 steps 2 cash software. They certain got nothing to explain about it as it does not even exist. So, we can’t expect for any evidence from them either. Any legitimate tool comes with a logical explanation of their trading strategy which should be acceptable. They simply tried to drive your attention to the sources available to trade and possibilities of income these sources. This was done to manipulate you before you could think of any further. If you are about to involve in the business, putting your hard-earned money at risk, would not you expect to know how does your profit will be generated? And if someone denies explaining this factor, it’s a sign of the scam, and you should be careful with that. Oh Yeah! They did another great job showing the estimated profit from the different trading accounts at a flash. The image of different trading had been showcased so fast that you hardly catch what was inside it. Nevertheless, if you pause the promo video at this view, you will apparently monitor that the information shown in those different trading accounts looks exactly same in every inch. The only thing that varies is the profited amount. This is a pure evidence of a poor photoshop and their scam attempt. Can you believe this! So, it was all about 3 Steps 2 Cash review. The above-shown points and the evidence indicate only one thing, a 100% scam software. We are confident that we have shown enough to give you a wake-up call. See, binary options trading is something really profitable if you have the thing in you, the capital, and most importantly the right trading tool. But, if you blindly throw the arrow, there is no future of yours here. So, be careful of the scam tools like Cash Club – 3 Steps 2 Cash.